And the progressive media refuses to acknowledge and report the amazing economic news. Wages and salaries increased 0.9% in the 3rd quarter this year … surpassing expectations … and raising the yearly increase to 3.1%. This is the largest yearly increase in wages and salaries in a decade. The current overall unemployment rate of 3.7% is the lowest it has been in 50 years! The unemployment rates for blacks, Hispanics and women are the lowest since unemployment figures have been recorded! Median household income is at a record high! Only 23% of companies say they are not having trouble hiring needed workers. This means that 77% of business are having difficulty finding new employees to fill their vacant positions! As many of you know, I own an ad agency. And it’s because business owners and entrepreneurs are allowed to invest more of their profits in expansion and growth – without as much government interference in their lives. 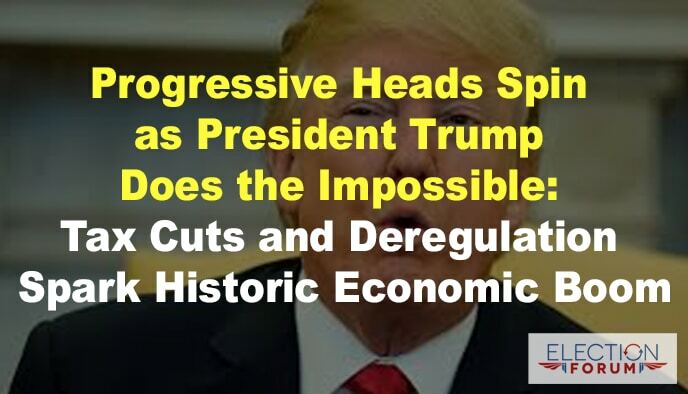 Meanwhile, what is the Democrat plan for the economy now that they have retaken control of the House – where all tax and appropriations bills originate? They want to “help” Americans by raising taxes … creating more regulations … and returning to the economic stagnation of the Obama years.